Suitable for use in cattle subdivision, wild animal control, strip grazing or additions to existing fences, Tempelec wire for electric fencing from Waratah is easy to use and handle and is available in 1.60mm diameter. Waratah Tempelec electric fencing wire has been developed to cater for carrying a greater electric current wile prolonging fence life. 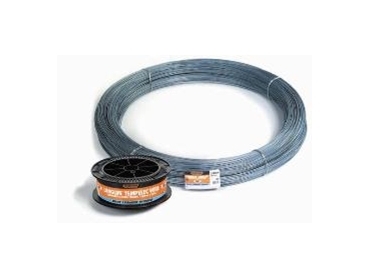 Tempelec wire is a versatile and ideal for use in temporary electric fencing and strip grazing. Longlife technology ensures that the electric fencing wire provides optimum corrosion resistance.